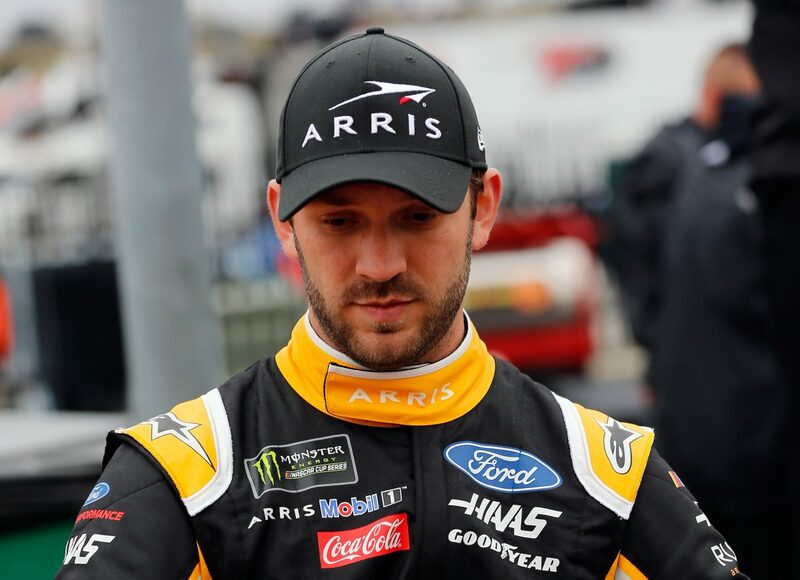 Daniel Suárez started Stage 1 from the fifth position and ended the stage in 13th. The Mexico native pitted during the competition caution on lap 35 for fuel, four tires and adjustments to help with his Mustang’s “plowing tight” condition. He restarted 14thafter coming down pit road in ninth. The remainder of the stage ran under green, and Suárez ended it 13th. During the Stage 1 break, the Ford driver pitted for fuel, four tires and adjustments and began Stage in the 12thspot. The ARRIS driver started Stage 2 12th and completed it in 13th. On lap 126, Suárez made a scheduled green-flag pit stop for fuel and four tires from 15th. The rest of the stage ran under green, and the No. 41 driver ended it 13th. During the Stage 2 break, he pitted for fuel, four tires and adjustment and started the final stage in 14th. The 27-year-old began the final stage in 14thand concluded it 10th. Crew chief Billy Scott made the call for a scheduled green-flag pit stop on lap 220. Suárez received fuel and four tires. Just after Suárez made the stop, the caution was displayed, and he was the beneficiary of the free pass. Suárez made another pit stop under the caution for fuel and four tires and for the crew to assess a hole in the grille. He restarted 15thon lap 227, and by lap 240 he was up to the 12thspot. The Ford driver made a scheduled green-flag pit stop on lap 270 for fuel and four tires. Once again, just after Suárez made a pit stop the caution came out. This trapped the No. 41 driver one lap down, forcing him to take the wave-around with most of the field. He restarted 13thon lap 281. By lap 290, Suárez was up to the ninth position and ultimately finished the event in 10th. Suárez earned his first top-10 in three career Monster Energy NASCAR Cup Series starts at Atlanta. Suárez’s 10th-place result bettered his previous best finish at Atlanta – 15thin last year’s Folds of Honor 500. Brad Keselowski won the Folds of Honor 500 to score his 28thcareer Monster Energy NASCAR Cup Series victory, his first of the season and his second at Atlanta. His margin of victory over second-place Martin Truex Jr. was .218 of a second. There were five caution periods for a total of 30 laps. Only 17 of the 37 drivers in the Folds of Honor 500 finished on the lead lap. Denny Hamlin leaves Atlanta as the championship leader with an eight-point advantage over second-place Kevin Harvick. The next event on the Monster Energy NASCAR Cup Series schedule is the Las Vegas 400 on Sunday, March 3 at Las Vegas Motor Speedway. The race starts at 3:30 p.m. EST with live coverage provided by FOX beginning with its prerace show at 3 p.m.